What is the impact of Rs 500 and Rs 1000 Note Ban on the Business? Before seven days ago the biggest bold step taken by the Central Government of India to stop the black marketing. All Rs. 500 and Rs. 1000 old notes were banned by the Government which effect the most of the business. We have to discuss what is the impact of Rs 500 and Rs 1000 note ban on the business? Most of the big industries reacted to this decision. Lot of persona also face difficulty due to this problem. Most of the person agree with this decision. They said this is the right step taken by the Central Government to stop the black marketing. All the small business are effected due to this step. There are lot of business effected due to the ban of Rs 500 and Rs 1000 notes. The sales graph of these given business is decreased. All those small business who deals in the cash his business go down up to 60 percent. Let’s we have to discuss about few business which effect due to this decision. The Chawri Bazar is the biggest hub of wedding cards and envelopes at Delhi. All peoples are sitting empty due to ban of notes which collapsed the wedding card business. As per the businessman they don’t have cash to buy the paper to prepare the wedding cards. It the wedding session and most of the businessman not able to provide the wedding cards to the parties. Most of the wedding card order still pending due to lack of cash. So, we can say that it the big impact of Rs 500 and Rs 1000 note ban on the business who are related to wedding cards. This is the wedding season and catering is another effected business which is effected of Rs 500 and Rs 1000 notes ban. In the catering business they have to deal with cash for decorations, music, light, banquet, decoration, food etc. Most of the catering businessman does not have enough Rs 100 notes to buy the material from the market or vendors. Florist Business also have the impact of Rs 500 and Rs 1000 note ban on the Business. Most of the florist businessman deal with cash in his business. But they doesn’t have enough Rs. 100 and other small notes to buy or sale the flowers on daily basis. Most of the florist business sales graph decreased due the that ban. 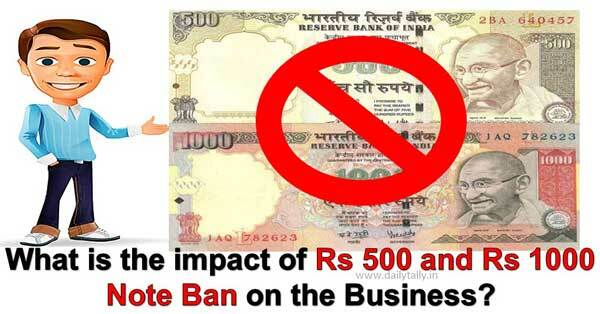 Garment business also get effected due to ban of Rs 500 and Rs 1000 note. From the effected date of this ban all readymade garments sales graph also decreased. All the garment business sales graph is increased in this wedding session. Garment Business get lot of impact of Rs 500 and Rs 1000 note ban on the business. Before this decision all the businessman get an idea that the garment business sales graph will be increased. But due to that decision most of the garment business does not have enough customers in this wedding session. All wedding accessories business also get effected with this decision. They have to face shortage of change money. The sales graph of wedding accessories business go down up to 50 percent due to lack of notes. Most of the person who make up the necklace of Rs. 500 and Rs.1000 notes for wearing during the wedding. Most of the customer want to change these old notes with new one but due to lack new notes. As per the Finance Ministry report there are 18 percent black money of total GDP and also have lot of black money in the Swiss bank account. Most of the person showing wrong tax detail and collect black money. Due to watching this a big commendable decision is taken by the Central Government of India to stop the black money. All we know most of the business get lot of impact of Rs 500 and Rs 1000 note ban on the Business. Most of the people want know this fact after some time the new notes problem will be solved and all those business running smoothly. If you have any suggestion regarding this article please write us your decision in the comment box.